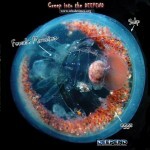 deep sea | WhaleTimes, Inc.
Save the Planet: Wear Hagfish Slime! DEEPEND Summer Camps 2017 Near You! What does everyone want for the holidays? Postcards from the DEEPEND, of course! 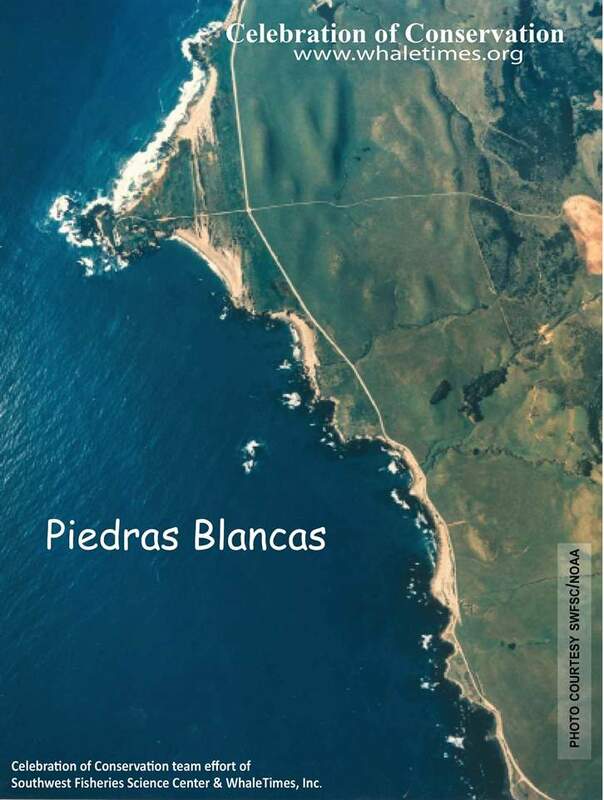 Throughout we’ll post a new Postcard from one of our amazing, talented, and simply fun scientists from the DEEPEND Consortium. 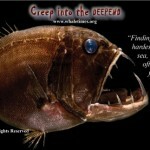 Creep into the DEEPEND Summer Camps Start MONDAY! Posted in Creep into the DEEPEND Summer Camp, DEEPEND, Postcards from the Deep, Postcards from the DEEPEND, Seamails, Virtual Research Missions, WhaleTimes Updates | Tagged anglerfish, Creep into the Deep, Creep into the DEEPEND, deep sea, DEEPEND, Postcards from the Deep, Research, summer camps | Comments Off on Creep into the DEEPEND Summer Camps Start MONDAY! Creep into the DEEPEND Summer Camps! 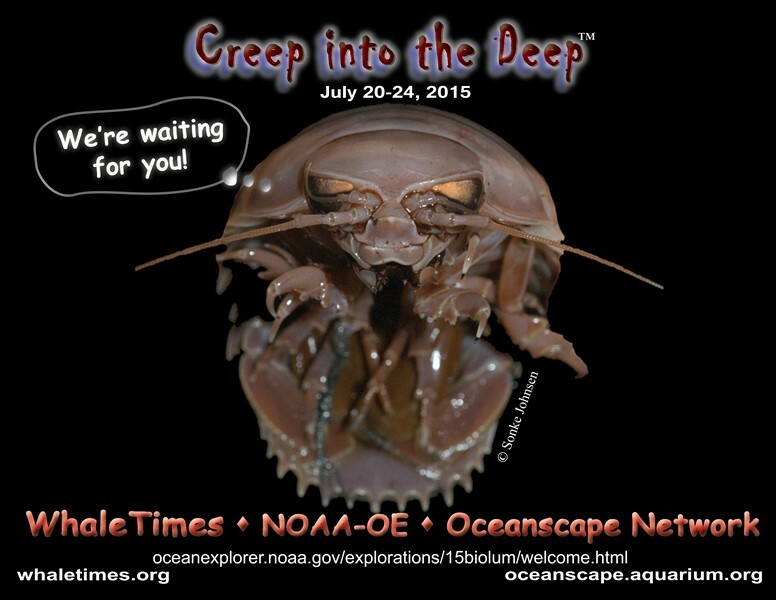 This summer, museums and science centers throughout the country will offer WhaleTimes’ Creep into the DEEPEND summer camps! Meet our amazing DEEPEND scientists, see their photos, videos, play games, make crafts and more. Check back in to find out if your local museum will join us — or ask your local museum or science center if they’ll be offering Creep into the DEEPEND as part of their summer camp fun. 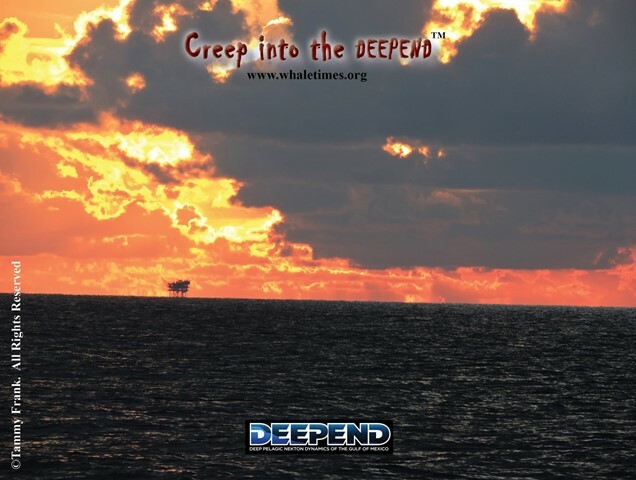 Posted in Creep into the Deep, Creep into the DEEPEND Summer Camp, DEEPEND, Virtual Research Missions, WhaleTimes Updates | Tagged Creep into the Deep, deep sea, DEEPEND, Postcards from the Deep | Comments Off on Creep into the DEEPEND Summer Camps! Students become part of the DEEPEND consortium, a group of deep-sea scientists investigating the biodiversity and distribution of animals in the Gulf of Mexico’s deep-sea ecosystem. The deep is by far the largest affected habitat from the 2010 Deepwater Horizon Oil Spill. 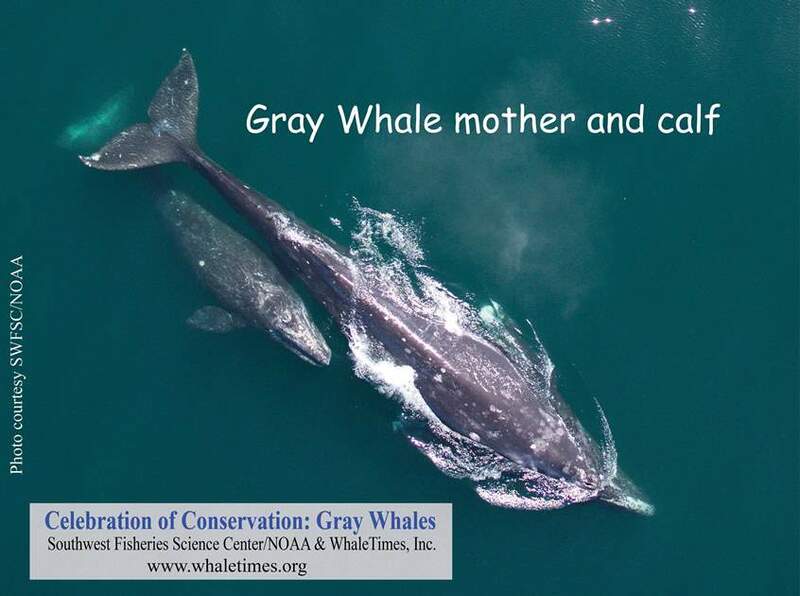 The consortium includes more than 30 scientists from 11 different universities and agencies, led by Dr. Tracey Sutton (Nova Southeastern University Oceanographic Center). Welcome aboard our research team! Thank you for being part of our Science Team for our NOAA-OE Research Mission: Bioluminescence and Vision on the Deep Seafloor 2015. The Science Team at sea includes Heather Bracken-Grissom, Sonke Johnsen, Charles Messing, Edith Widder, and me, Tamara Frank. On July 14th, we traveled to Cocodrie, Louisiana to board the Research Vessel (RV) Pelican. We spent one day in port setting up all of our equipment, including the Global Explorer ROV. The Global Explorer, about the size of a small mini-van, needs to be lifted by a crane aboard the ship. Once it was on the ship, all the connections needed to be hooked up and tested to make sure that everything works (pilot controls, cameras, lights, hydraulics) before we left the dock and set sail to our first study site. We’ll spend the next 12 days exploring depths between 3,280 and 4,921 feet (1,000 and 1,500 m) using the Global Explorer ROV. 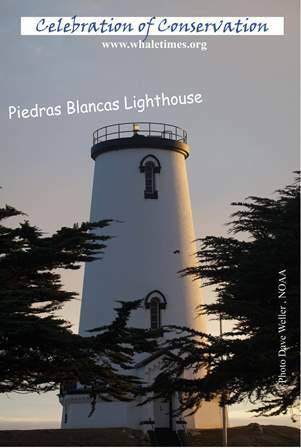 We’ll take photographs and videos and also collect live animals for our studies of vision and bioluminescence. Only 5% of our oceans have been explored, so every dive is important and full of discoveries. We’re happy we can share this fascinating world with you. During the cruise, you’ll receive Seamail updates about our discoveries and can ask us questions. You can also learn more about our research and find a map of our dive sites on the Bioluminescence and Vision on the Deep Seafloor 2015 NOAA-Ocean Exploration webpage. 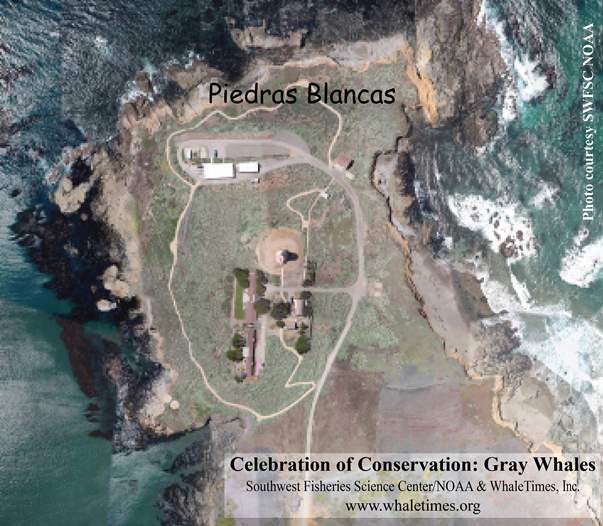 Plus, Oregon Coast Aquarium’s Oceanscape Network, and of course, WhaleTimes, will also have photos, videos, and more for you to check out. I hope you’re ready for an amazing trip! 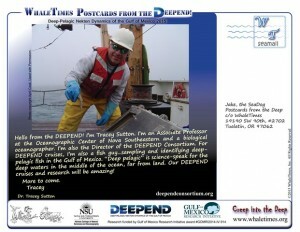 A Postcard from the DEEPEND! Postcards from the DEEPEND are starting to arrive. Enjoy! Posted in Creep into the Deep, DEEPEND, Postcards from the Deep, Postcards from the DEEPEND, Virtual Research Missions | Tagged deep sea, DEEPEND, Postcards from the Deep, Research | Comments Off on A Postcard from the DEEPEND! Join us at the DEEPEND! 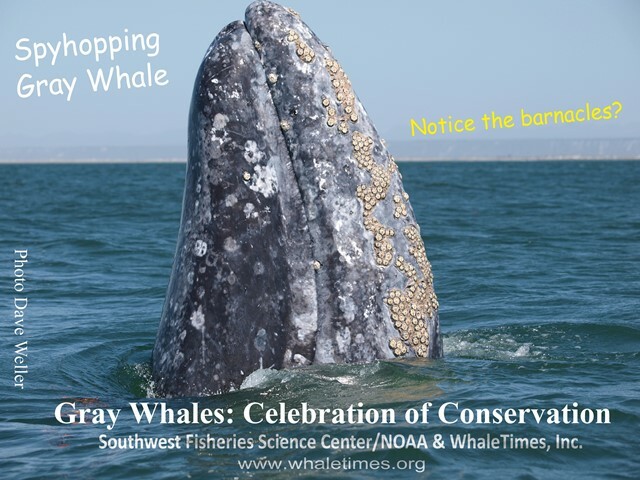 Joins WhaleTimes at the DEEPEND, no floaties required! 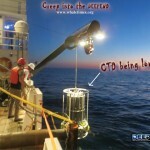 Our DEEPEND Science Team is at sea, right now! Follow the ship (May 1 to 8th) on the DEEPEND Consortium website. 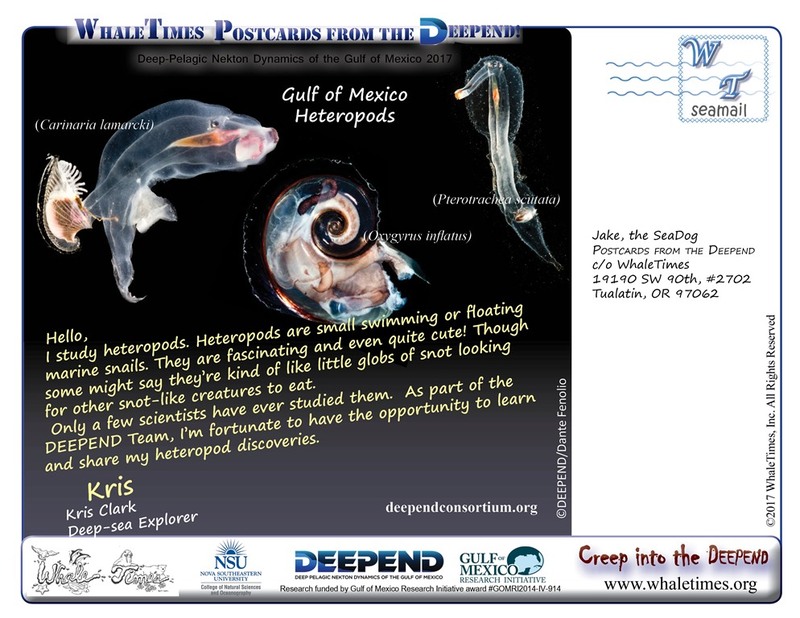 That means, WhaleTimes’ first set of Postcards from the DEEPEND will be arriving soon! 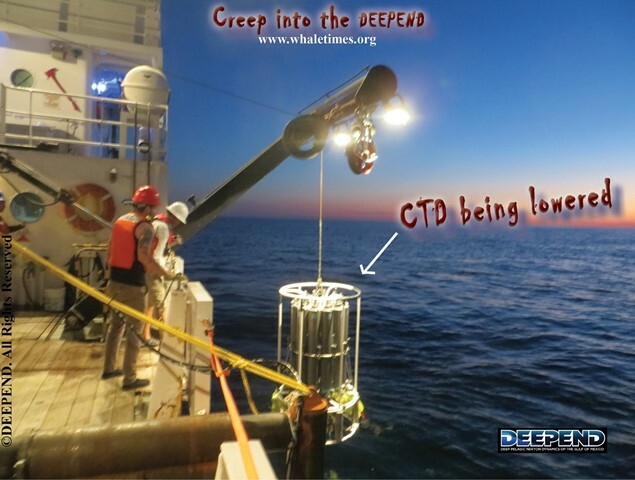 WhaleTimes is excited to be part of the DEEPEND Project…a consortium of amazing scientists and organizations studying the Gulf of Mexico deep sea. 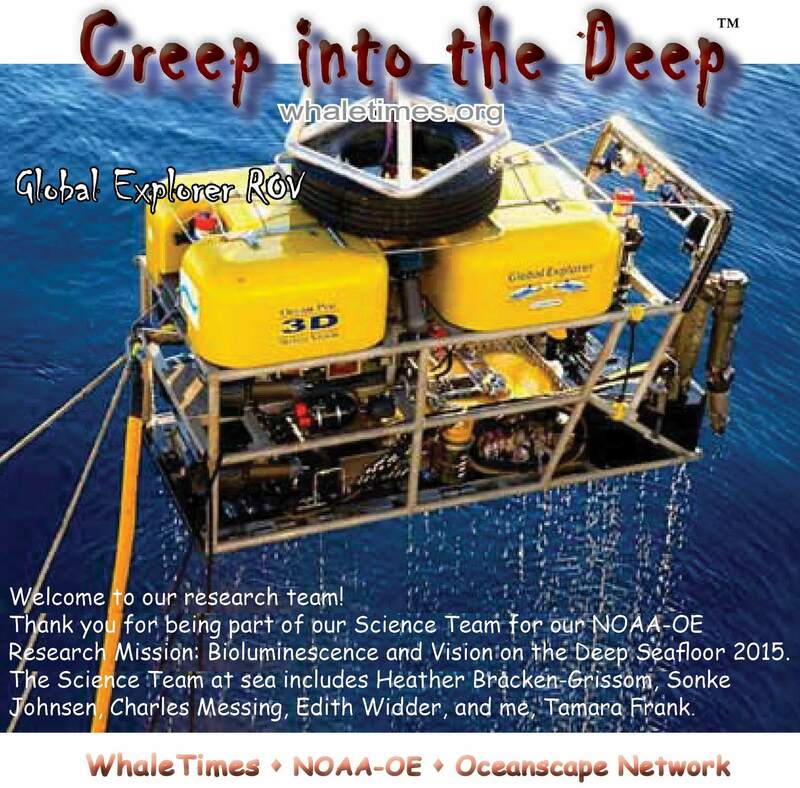 Posted in Creep into the Deep, DEEPEND, Postcards from the Deep, Postcards from the DEEPEND, Virtual Research Missions, WhaleTimes Updates | Tagged conservation, Creep into the Deep, deep sea, ocean | Comments Off on Join us at the DEEPEND! 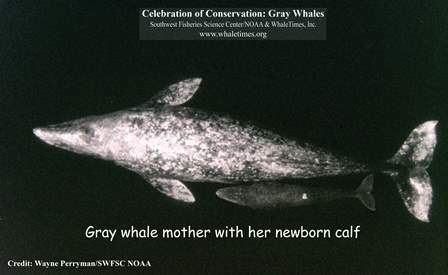 …a consortium of amazing scientists and organizations studying the Gulf of Mexico deep sea. 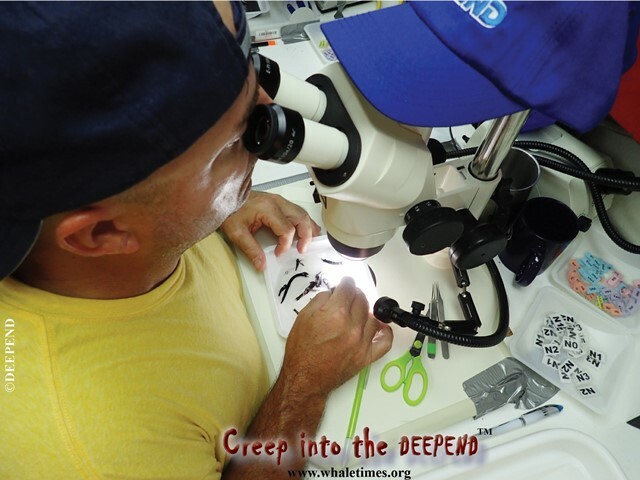 WhaleTimes will share that science, technology, engineering and math (STEM) to you through our Creep into the Deep Virtual Research Missions, Postcards from the Deep, Taking Science Deeper Curriculum, and so much more. 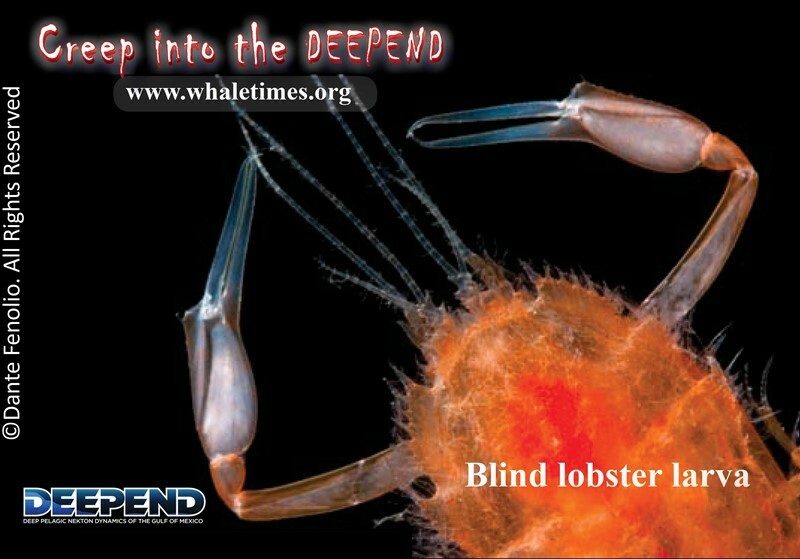 Our first Postcards from the Deep…End arriving this spring. 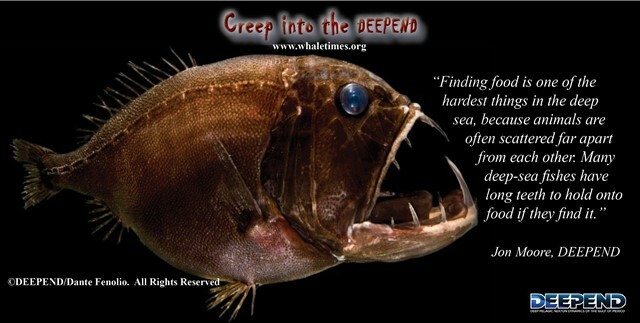 Our first Creep into the Deep…End cruise, this fall. 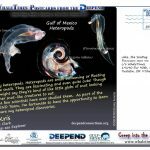 DEEPEND research, outreach, and education funded by the Gulf of Mexico Research Initiative. Thank you! 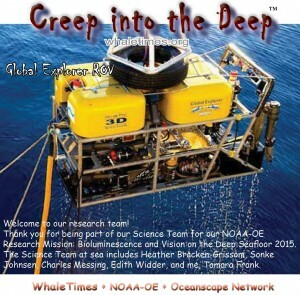 Posted in Creep into the Deep, DEEPEND, Postcards from the Deep, Virtual Research Missions, WhaleTimes Updates | Tagged conservation, Creep into the Deep, deep sea, DEEPEND, kids, Postcards from the Deep, Research | Comments Off on Creep into the Deepend!